Two Sandy Relief quilts are on their way to warm new owners, a third is on its way back to me from the longarm quilter (hurray Phyllis! see contact info below) for binding/finishing, and quilt tops four and five have been assembled and sent off for quilting. Now I'm working on quilts six and seven--a bit dizzy from all these wonderful, wonky blocks! The global quilting community continues to amaze me! All quilts were longarm quilted by generous, talented Phyllis Dewey of Quilter's Pantry! She's really helping with the Sandy Quilt effort. You can find her website at Quilter's Pantry and her blog at Quilter's Pantry Blogspot. Phyllis, you rock! Unbleached woven muslin nine patch, continued from here. Not good days for being outside in the city air if it can be helped. Most people have to carry on, and many must work outside or in non air-conditioned buildings all day. This is sort of an "ode to Jude" at Spirit Cloth--the inspiration (and instruction) behind this cloth-to-cloth muslin nine patch with heart (in process). I'm working through Jude's first boro course in preparation for, and eager anticipation of, her upcoming Contemporary Boro (series #2) course. This is the first small cloth weaving I've made as I begin to play my way through Jude Hill's "Cloth to Cloth" course, which I highly recommend. 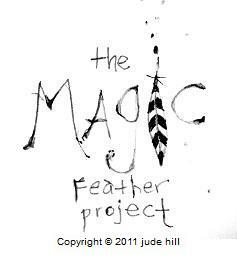 Her work is creative and inspiring; Spirit Cloth is Jude's welcoming, instructive blog. Her voice is like butter melting into Grandma's soft rolls--soothing and nurturing.